Editor’s Note: Social networks are taking off in China. The following guest post by George Godula. David Li, and Richard Yu explores how Chinese social networks are pursuing different business models than their American counterparts, relying more on micropayments and the sale of virtual goods. George Godula is the co-founder of Web2Asia, an East Asian incubator and also a consultancy for Western startups trying to enter markets in China, Japan and Korea. David Li is a developer of social networking applications such as Growing Gifts, and he also was the developer of OnChat, an early in-browser graphical avatar chat system. Richard Yu is a Seattle native living in China, where he consults for Shanghai-based web startups while writing his blog. Despite China’s massively growing internet market, international giants like Google and Facebook are having trouble making gains with the 300 million Chinese online users. China’s netizens are on average very young – 66.7 % of them are younger than 29 years old and 35.2 % of them are teenagers—with social networking and entertainment applications being the most popular. While companies like Facebook struggle to conquer market share in China and to create viable business models everywhere, their Chinese clones have built lucrative cash machines literally earning billions of dollars a year. Unfortunately, adopting Chinese methods may not help American social networks due both to cultural differences in Chinese user behavior and industry practices. 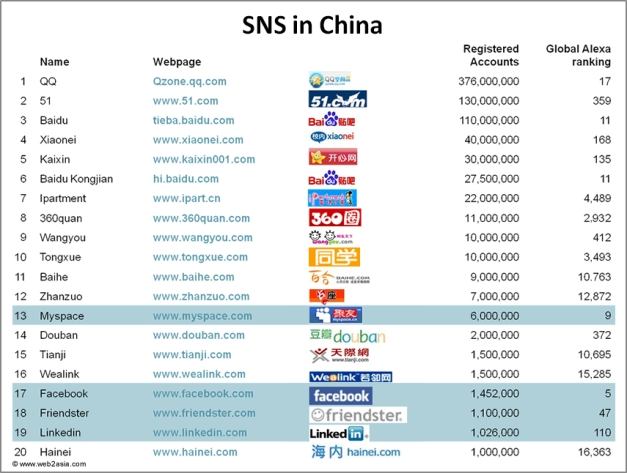 Below is our analysis of the Chinese social networking scene. In the middle of 2008, Myspace was the only social network to support OpenSocial in China. Despite Google’s effort, the adoption of OpenSocial was slow among the major social networks. Eventually, other platforms caved into the partnership with Google and gave half-hearted support to OpenSocial. Apart from some of the large social networks mentioned previously this included City!N, Yiqi.com as well as the business network Tianji and BBS Tianya. Other social networks such as Douban, Hainei or news portal Sohu had originally announced to join OpenSocial but then never implemented it, choosing an F8 style API instead. Today, only one of the top 50 apps in China’s social networks runs on OpenSocial despite the hard work put in by the Google team in China. 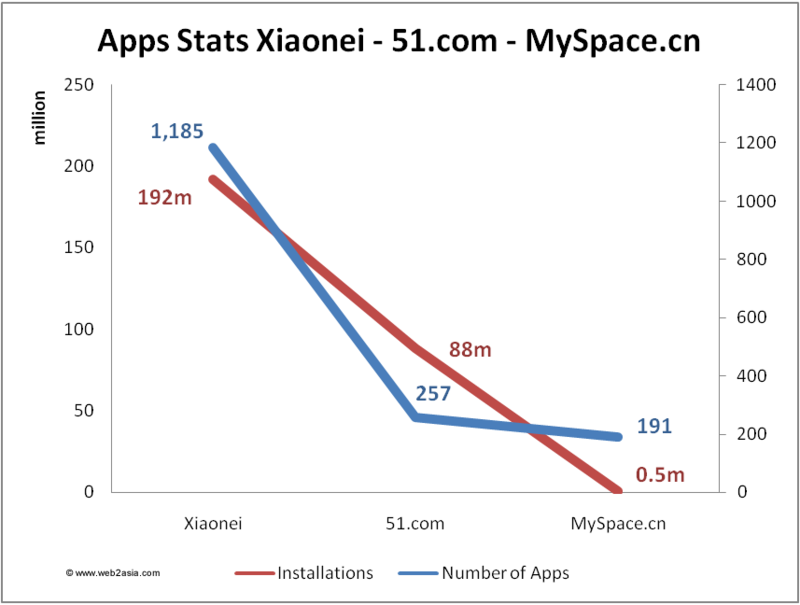 When Xiaonei and 51.com at first opened their own platforms, their terms of services outraged the developer community with clauses that practically blocked all monetization opportunities and a shared user base with their own websites. The developers launched several public protests against the social networks including the website www.anti-opensocial.com to rebel against hypocritical support for these “fake open” platforms. The executives from these social networks did respond quickly to the developers demands and changed the terms of service to more reasonable terms, allowing limited monetization opportunities for the developers. Unfortunately, most social networks continue to ignore “Open Social” practices, opting for the more familiar “Guanxi paradigm” in business practices with third parties. The term ”Guānxi” describes the basic dynamic of gaining influence and receiving favors within social relationships, and is a central concept in Chinese society. For social networks, this means that rather than developing an open ecosystem, they focus on dealing with third parties individually and face to face. New Open Social Networking platforms (or better put, “selectively opened”) such as Yahoo’s Guanxi, Tencent’s Xiaoyou and Tianya court established third party app developers like Five Minutes while largely ignoring the wider developer community. Additionally, ad sales are also strictly controlled by the social networks themselves even though 51.com set a threshold of a $35k fee to be paid for app developers to operate their own ad revenue -based applications (which until now no developer was willing to pay). Keso, China’s most widely read tech blogger, who we asked to contribute to this article through China’s online expert panel BloggerInsight, summed up the situation by saying “Despite an open platform strategy, Chinese SNS are still competing with each other on the application level”. Chinese sites are notorious for their C2C strategy, or “Copy to China”. This applies to the app market in the same way as it did to the social networks and all other Web 2.0 and eCommerce services. A year after Facebook introduced the F8 open platform, Xiaonei.com followed suit and announced its open platform in July 2008. The developer group xCube on Xiaonei attracted individuals and companies interested in third-party apps. Yet Chinese outsourcing developers such as Apptz and Ismole armed with experience working on Facebook applications made significant inroads by launching several apps and attracting millions of users in just a few short months. 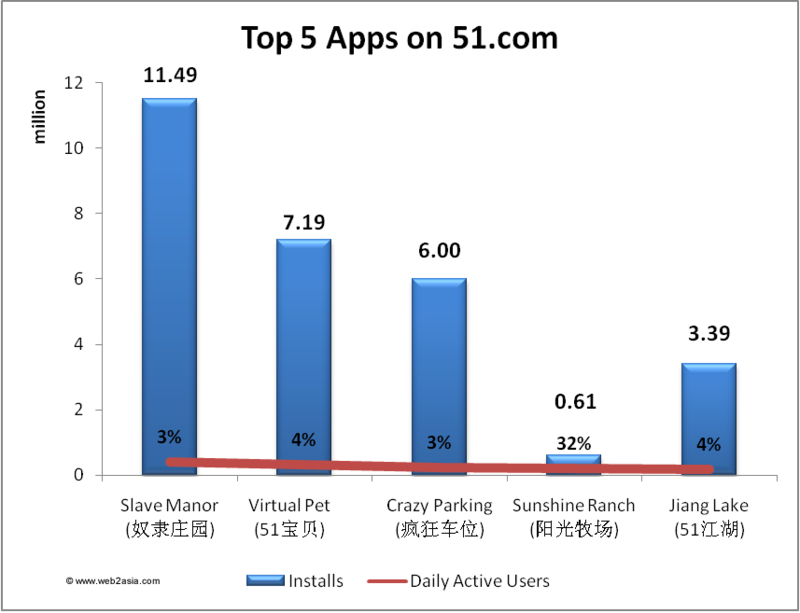 At about the same time, the apps space also felt the power of C2C with copies of popular apps on Facebook such as “Friends for Sale” and “Parking War” popping up on just about every social network in China. Other leading social networks such as 51.com and Comsenz!’s Ucenter Home (similar to Ning.com) launched their own open platform soon after Xiaonei’s effort. While Chinese social networks started out as mere clones of existing sites, they’ve managed to innovate the business models to create a very lucrative market by cementing the relationship between application developers and the site’s user base. 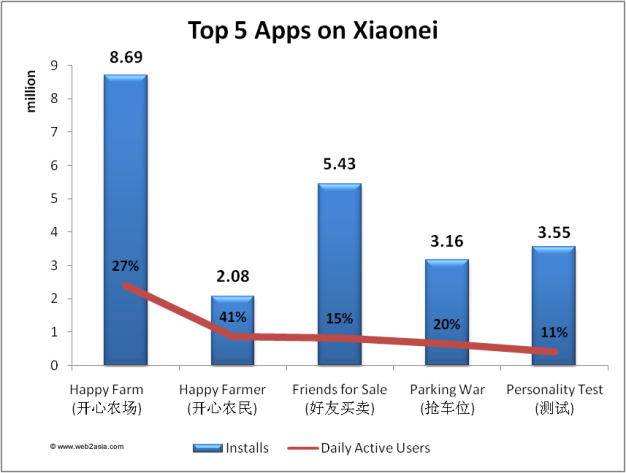 Happy Farm, the most popular app in China reportedly collects well over $75k a month through installations on various platforms, and according to Chinese application tracker, Appleap, the value of the total social network’s apps install base is approx. $4.5 million. Opening up the payment system was one of the most anticipated announcements from Facebook’s developer conference F8 2008 but the company failed to create an integrated ecosystem for users to buy and sell apps. China’s socail networks took the great leap forward in this area when 51.com became the first social network in the world opening up its payment system to third party developers in 2008. Users pay money to 51.com and receive virtual coins which they can then again spend on third party applications. The revenue is split 50/50 between the social network and the developer. Facebook on the other hand currently does not offer developers access to its payment system. If a third party application redirects Facebook users to their own website and payment processor, they usually lose the advantage of Facebook’s trusted brand name and the majority of potential revenues. At the same time, companies like Becomedia are cooperating with 51.com to bring OfferPal-style cost-per-click/cost-per-action (CPS/CPA) for virtual currency models to China. CPS/CPA is one of the fastest growing sectors of Internet ads in China. This means revenues for the developers by trading their virtual currency for hard cash. 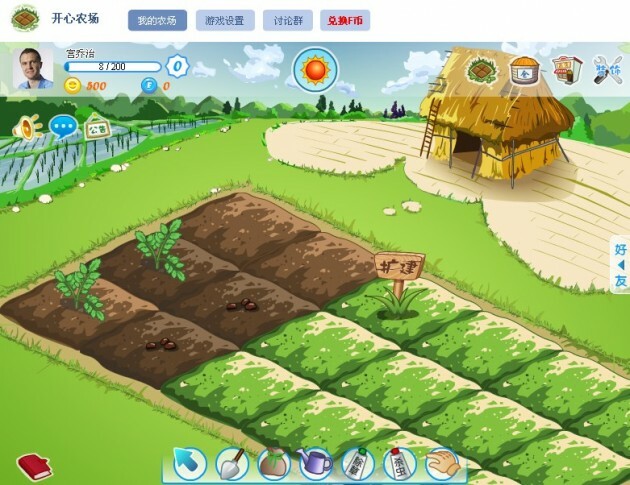 Season Xu from Five Minutes, the maker of China’s most popular app, confirmed the three basic revenue models for apps in China: shared ad revenues, income through virtual currencies, and customized development for branded applications. However he and Herock, a leading figure in the Chinese tech blogosphere whom we also spoke to, expect a consolidation in the app development market soon with larger companies taking over and benefiting from effects of scale, rather than individual developers still being able to produce top apps. What can Facebook and Western social networks learn, if anything? If monetizing a social network is so easy, then why hasn’t Facebook opened up its payment API to third party developers? While the aggressive and intrusive hyper-viral aspects of the apps in China may not be replicable in a Western Market, the problems for creating a more viable business model run deeper. Western companies cannot innovate in the same way due to institutional problems stemming from their own struggle for an identity and revenue. Facebook has just recently announced a “credits” system, but it seems to miss the mark. The new system demonstrates little incentive for users to shell over money, and does not speak to the same need as paying for a social application that all your friends are already on and talking about. Facebook may be afraid to become a marketplace for applications, because they are reluctant to be labeled as a social gaming network or a social app store. Instead, they are a self-styled guru of dynamic human interaction. If they opened up their platform to become an apps store, their major revenue streams would put them into a pigeonhole, calling their $15 billion valuation into question. They obviously don’t want to be labeled as a “gaming platform” either, and don’t want to fully depend on selling digital trinkets. Like during the American gold rush in 1849, where Chinese merchants prospered while most prospectors went bust in search of striking gold, it appears that building viable, scalable businesses for Social Networking sites may still be an ancient Chinese secret for Westerners.